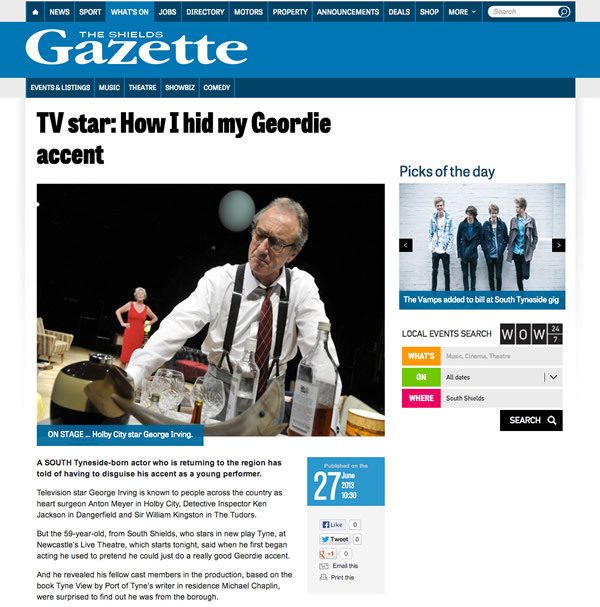 The Shields Gazette have a short interview with George as he prepares for his first appearance in Tyne opening tonight. A SOUTH Tyneside-born actor who is returning to the region has told of having to disguise his accent as a young performer. Television star George Irving is known to people across the country as heart surgeon Anton Meyer in Holby City, Detective Inspector Ken Jackson in Dangerfield and Sir William Kingston in The Tudors. But the 59-year-old, from South Shields, who stars in new play Tyne, at Newcastle’s Live Theatre, which starts tonight, said when he first began acting he used to pretend he could just do a really good Geordie accent. And he revealed his fellow cast members in the production, based on the book Tyne View by Port of Tyne’s writer in residence Michael Chaplin, were surprised to find out he was from the borough. “In the 60s, when my generation were deciding they wanted to do this job, you didn’t tell anybody. “The idea a Geordie could become an actor was ridiculous. The new play maps the history, atmosphere and soul of the River Tyne and dramatises extracts from Michael Chaplin’s book, which are woven together with stories from famous North East writers, including the late Alan Plater, from Jarrow. The story follows siblings Mark and Kate, who trace their father’s story and life along the river edge. Also starring in the play is Victoria Elliott, who played Denise in sitcom Hebburn. Music is provided by Northumbrian piper Kathryn Tickell and also includes the title song from Sting’s new album The Last Ship. 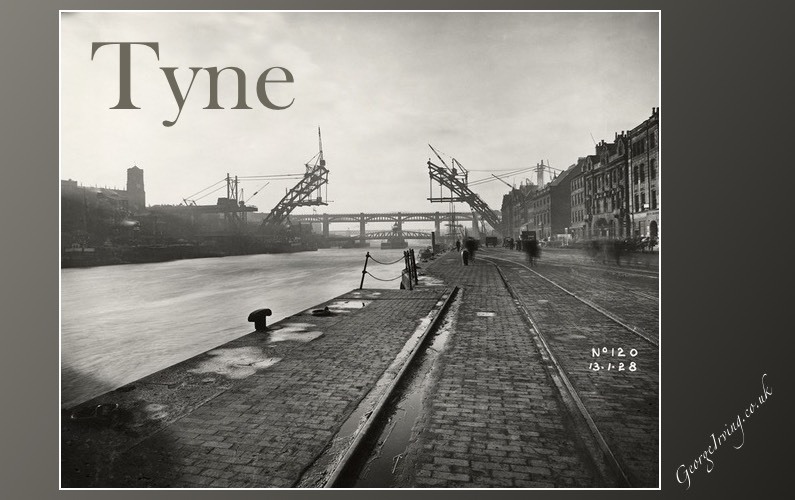 Tyne starts tonight and runs until July 20. Tickets are between £5 and £22 and can be booked by calling Live Theatre’s box office on 232 1232 or by visiting www.live.org.uk.